The Clean Power Plan: is Maine already there? The Op Ed then proceeds to point out that Maine has the highest asthma rate in the country (true) but that the majority of the asthma-causing pollution in the air Mainers breathe wafts over to us from coal fired plants in the mid West. Also true. One could be forgiven, then, for wondering why Maine needs to cut carbon pollution when the majority of the pollution is caused elsewhere? The devil, as always, is in the details. 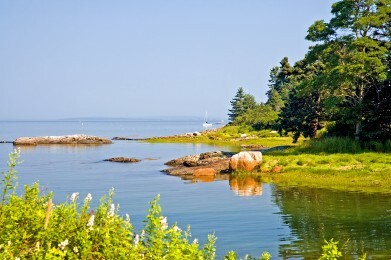 Maine is not obligated to reduce carbon emissions 30% from 2005 levels by 2030. The entire US is obligated to do that, under the proposed plan. The EPA has set targets for each state. Maine’s proposed target is actually the second lowest of the 49 states subject to the plan (Vermont has no power plants that qualify as an affected Electricity Generating Unit, or EGU. Maine has four, although the EPA and the Maine DEP disagree about which power plants classify and which don’t). Under the proposed plan, then, Maine would be required to reduce its emissions by about 14% below 2012 levels. Moreover, the proposed goals are set using a method that EPA calls BSER, or “Best System of Emissions Reduction.” This system includes four “blocks,” which include: improvements in emissions rates from coal-fired power plants (Maine has one); the replacement of coal-fired power plants with natural gas or renewable sources; and conservation. (Only the first of these, apparently, is directly under the EPA’s jurisdiction. But I’m not an environmental lawyer, so that’s about as far as I’ll go there.) That’s why some states who are large polluters have targets that seem relatively high (meaning more pollution allowed) when compared to other less polluting states that have a relatively stringent goal (Texas versus Washington, for example). EPA does not specify how individual states should achieve their targets. They do, however, require that states submit plans detailing how they will achieve the targets and demonstrating compliance. Others of Maine’s objections are predictable, given Maine’s power and industry mix: what about co-generation? Biomass? Hydropower? The EPA’s rules either don’t include them as eligible renewable sources or are unclear in the way they are treated. It doesn’t seem, then, that compliance with the Clean Power Plan will be an undue burden on Maine’s energy consumers. I agree that some rules and calculations need to be clarified, and that Maine should be praised, not punished, for being a “first mover.” But the biggest effect of the Clean Power Plan in Maine will not be felt in our wallets. It will be felt in our lungs – and perhaps in our climate. This post is already too long to get into the benefits – both direct and ancillary -of the Clean Power Plan. So I’ll leave that to the next one. Excellent, clear (considering the topic) analysis and explanation. Thanks.